JOB LOCATION: San Francisco, CA. 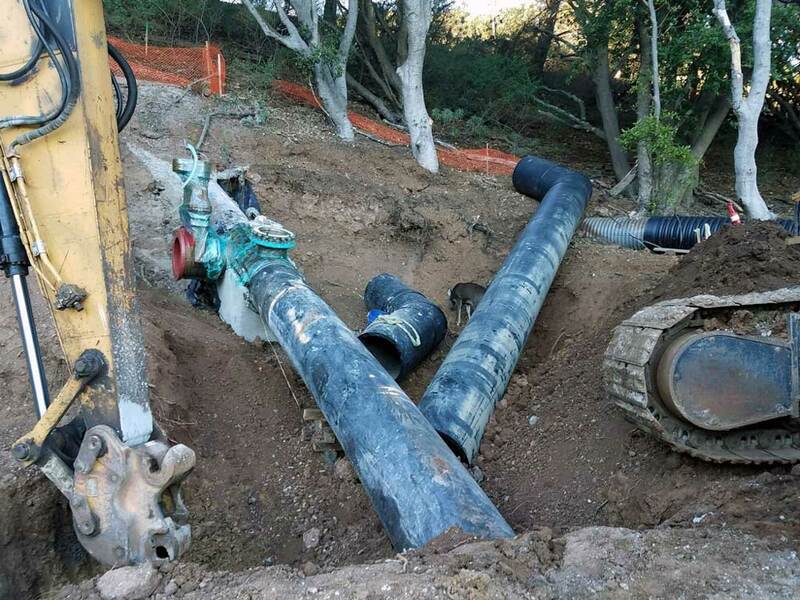 Item I: Linestop® on 28” OD HDPE Gravity Raw Sewer Main Pipeline 60 psi (approx) With 20” By-pass Outlet. 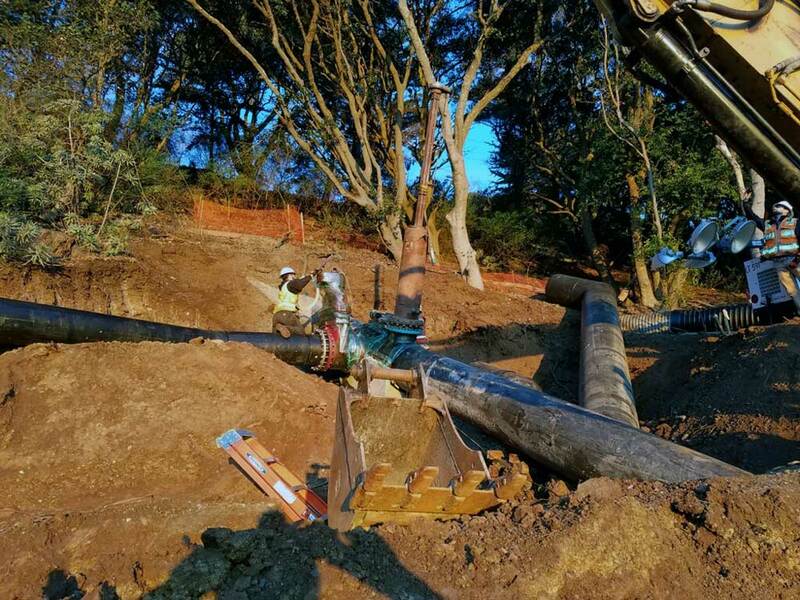 2 – Insertion of 28” Linestop for up to 12 Hours while others perform pipeline work. A deer wanted to watch our 28" Linestop with 20" hot tap for bypass in San Francisco, CA. 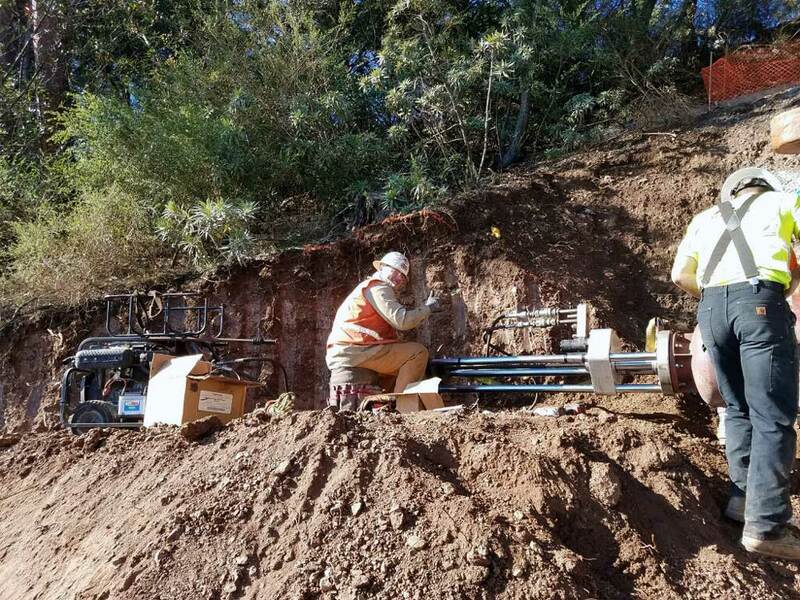 28" Linestop on this job in San Francisco, CA. 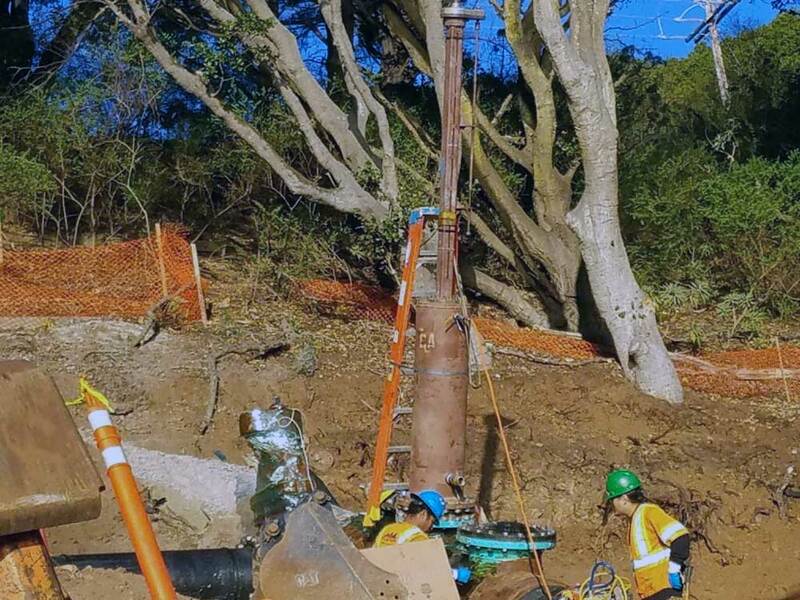 A look at the 28" Linestop and 20" by-passes for this job in San Francisco, CA. 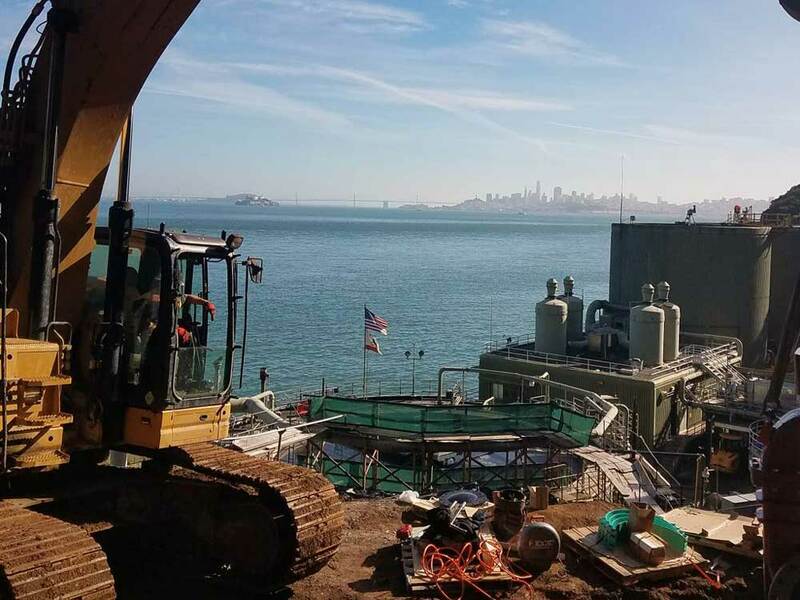 Best job site view ever over the San Francisco, CA Bay. 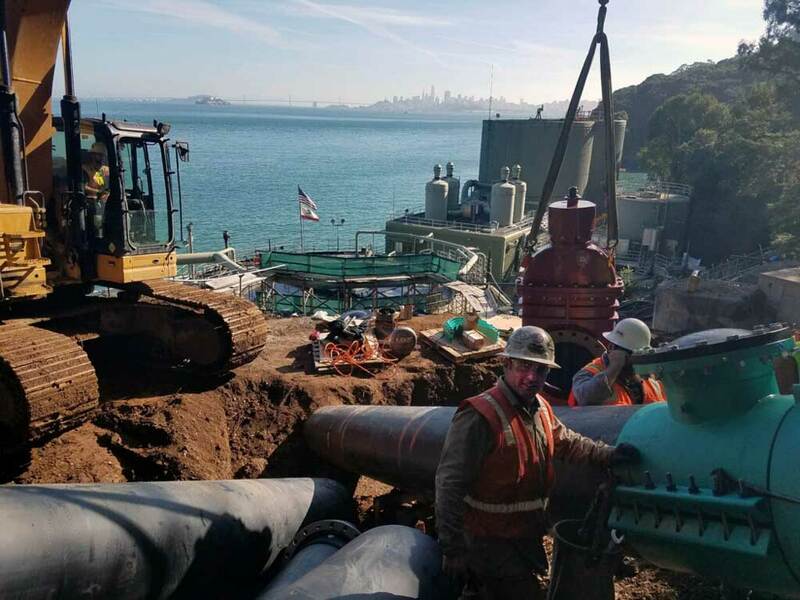 28" Linestop with 20" hot tap for bypass in San Francisco, CA.